ANY reference to a certain superhero is, was and will always be officially frowned upon, if not immediately dismissed altogether. 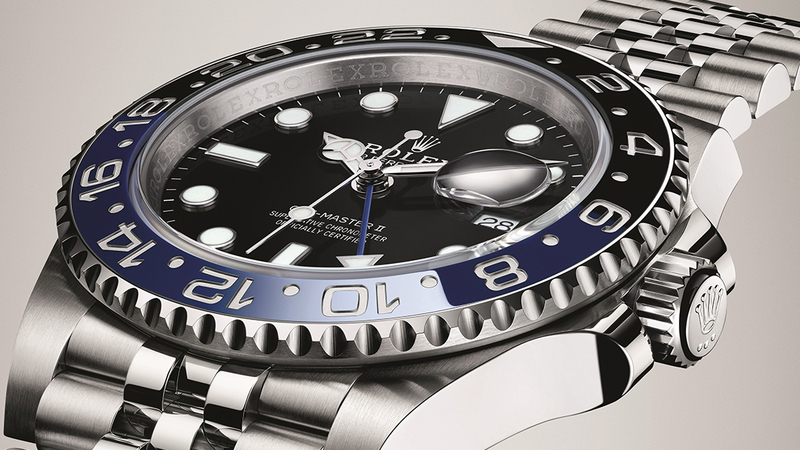 So, Rolex’s latest blue-and-black bezel rendition of its GMT watch, released at the 2019 Baselworld, should solely be referred to as the Oyster Perpetual GMT-Master II. Well, outside of forums and GTG talks, at least. Now, as deeply ingrained in the GMT-Master II’s identity is its aviation-use roots, specifically the GMT-Master’s inextricable link to Pan Am — the original ref. 6542 of 1954 was born out of the airline’s request to Rolex for a watch that could let pilots, who were then beginning to make transcontinental flights, to keep track of the local time and that back home. The result, of course, is a bezel with a 24-hour scale, with the day and night hours classified via red and blue backgrounds. Several references replaced the original, including the second version (ref. 1675) that was sold from 1959 to 1980 — the longest stint for any GMT-Master. In the early 1980s the GMT-Master adopted the “II” nomenclature even as versions of the GMT-Master continued to be sold. And though numerous renditions of both models were made through the decades — as is typical with Rolex — the first model with a blue-and-black bezel insert came out only in 2013 in the form of the ref. 116710BLNR. 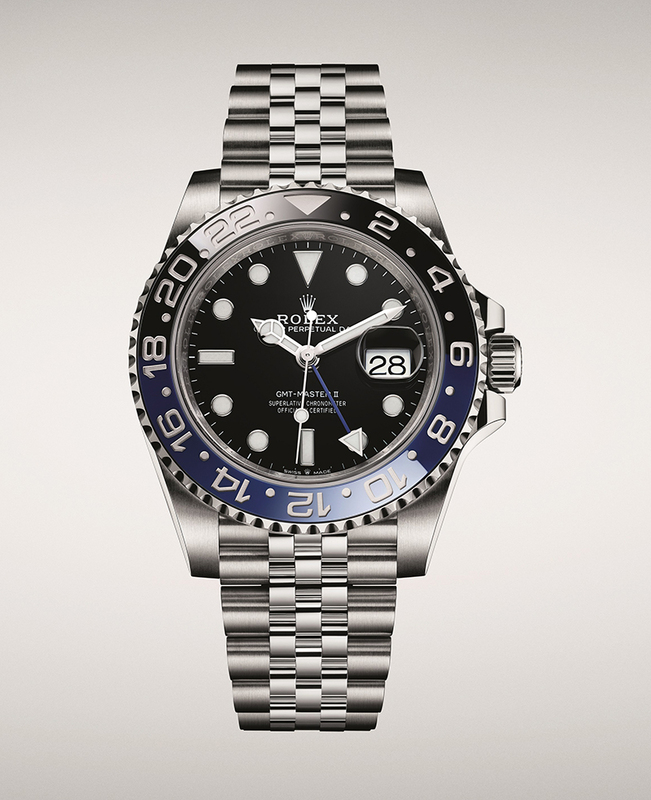 “BLNR” is Rolex’s code for Blue & Noir. This BLNR, of course, is a product of Rolex’s shift, in 2007, to using tougher ceramic rather than aluminum (on which the watchmaker has relied since the beginning) for the bezel insert. Initially, Rolex could not find a way to make a one-piece, two-color bezel insert in ceramic — or Cerachrom, in Rolex-speak — especially that for the portion in red. But what it managed to do was to combine blue with black on a single piece of component. Now, even if this was merely a sort of a half-solution to a tricky problem, it already marked a milestone in the use of ceramics in watch-making. 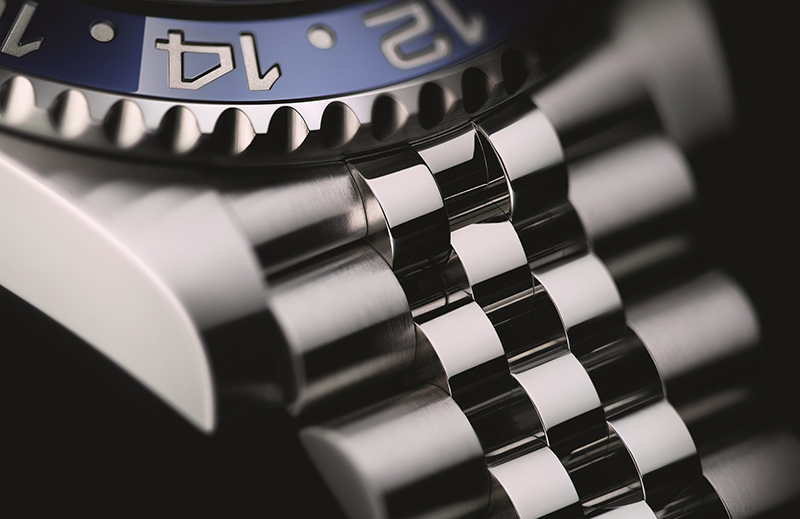 In its 2019 appearance, the GMT-Master II (ref. 126710 BLNR) continues to wear this bidirectional rotating bezel with a blue and black Cerachrom insert over Rolex’s proprietary Oystersteel case. 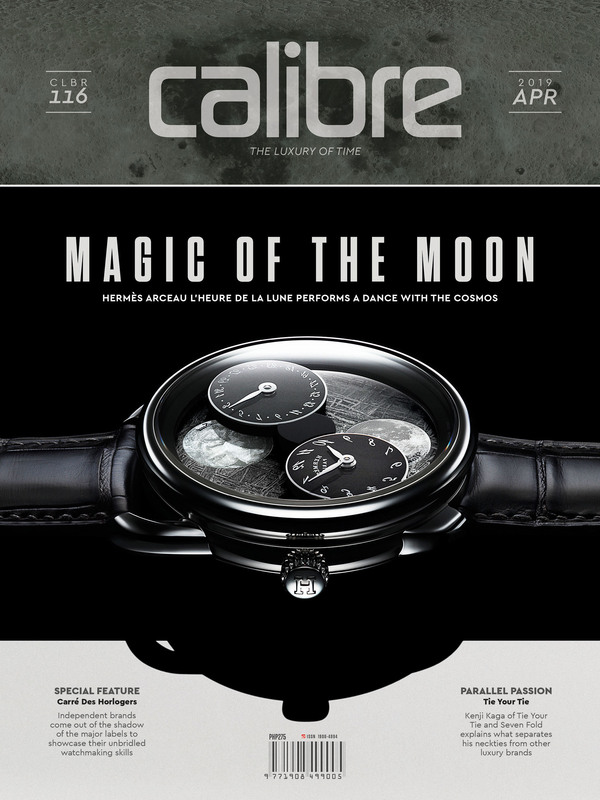 But the new piece adopts a couple of items which characterized the model’s blue-and-red 2018 rendition: a Jubilee bracelet and Rolex’s new-generation cal. 3285 that debuted last year. Like in the 2018 model, the molded and recessed graduations and numerals on the watch’s bezel are coated with platinum via PVD. The Jubilee bracelet is also fitted with the Oysterlock safety clasp that can be extended by about five millimeters more if needed. Retained as well is the 40-millimeter Oyster case that, by way of a screw-down caseback cover, tri-step sealing for the crown (dubbed Triplock) and sapphire crystal (with a Cyclops magnifying glass), is water-resistant to depths of 100 meters. On the GMT-Master II’s black lacquer dial sit hour markers and a triangle-tipped 24-hour hand made of 18-karat white gold, all of which coated with Chromalight that glows blue in the dark. As usual, the hour hand can be set forward or backward in one hour increments, and independently from the 24-hour and minute hands, making adjusting time for a different zone easy. The date display follows that set for the local time. For its part, the self-winding, 31-jewel, 28,800vph cal. 3285 updates the latest BLNR piece. Used across the GMT-Master II range, the movement betters its forebear in terms of precision (it’s a Superlative Chronometer that should not gain or lose more than two seconds a day), power reserve (now up to 70 hours) and resistance to shock and magnetism. Such traits, no doubt, make it worthy to power a superhero piece.